Most likely, the Tomos of autocephaly to be provided to the Ukrainian Orthodox Church by the Ecumenical Patriarch may already arrive on September 10. Archimandrite Cyril (Hovorun), a Russian Orthodox Church hierarch, told about it in Kyiv, the BBC reports. “The main piece of good news is that the question of autocephaly of a part of the Ukrainian Church that strives for it, has already been resolved,” said Archimandrite Cyril. 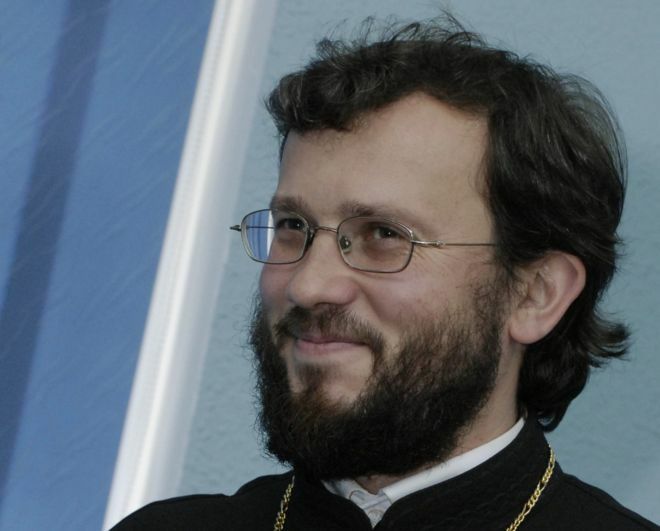 According to him, the provision of autocephaly and the publication of the Tomos on this is already at the final stage. According to his information, the latest important milestones in this process will be the events of the end of August - beginning of September. In particular, it will be a visit of Patriarch Kirill, Head of the ROC, to the Ecumenical Patriarch Bartholomew on August 31. Then the Ukrainian issue should be discussed at the Synaxis of the Patriarchate of Constantinople on September 1-3, and the Tomos will be signed during a meeting of the Holy Synod on September 10. The Synaxis is the assembly of all the hierarchs of the Constantinople Patriarchate to address the most important and most urgent issues of the Church. Last time it convened in 2015. According to Archimandrite, after the Synaxis, a meeting of the Holy Synod of the Patriarchate of Constantinople will begin on September 10. There, three scenarios are likely. “The most plausible scenario is that the Tomos will be signed at a meeting of the Holy Synod on September 10. It has already been written, hence it will be signed,” Cyril Hovorun believes. The second scenario - the Tomos will not be immediately signed, but the Lyiv Metropolis will be revived, and then it will be transformed into an autocephalous Church. The third scenario - the Synod will decide on the postponement of the Ukrainian issue for some time. “At the moment everything depends on the results of the visit of Russian Patriarch Kirill to the Ecumenical Patriarch on August 31,” emphasizes Archimandrite Cyril, who believes that this visit may somehow affect the decision of Constantinople regarding Ukraine. During his speech, Archimandrite Cyril Hovorun said that the ROC had made tremendous efforts to obstruct the provision of the Tomos. However, he said, this question had already been practically solved. “Previously, all attempts to provide Tomos were blocked before the point of no return. This time the point of no return has been passed -- the decision to grant the Tomos of autocephaly had been approved," says Father Cyril. During his speech at the St. Sophia Cathedral in Kyiv, the Archimandrite hinted that the signed Tomos would be brought there. Интересно, каккой вы большой проффе сор, товарищ ортоксь??? Да ж архим.Кирилл Говорун БЫЛ В команде патр.кирилла, потому что ОЧЕНЬ ОБРАЗОВАННЫЙ. А вы кто такой...??? Патриарх Варфоломей уже высказался по поводу подобных заявлений в СМИ о проекте томоса, это был камень в огород Говоруна конкретно. А он снова рассказывает какие то, якобы ему известные, планы по украинскому вопросу. Какой "томос" ?, когда в Украине идет гражданская война. Сколько можно фантазировать, выдавать желаемое за действительное? Самим не стыдно? Ждём 10 сентября и последующих оправданий, "научных" обоснований и назначения новых "абсолютно точных" сроков "томоса".